Lublin is a city which boasts a long tradition of automotive and machinery sectors going back to the interwar period. It is an important place on the map of production centres for passenger cars parts, lorries, tractors, coaches and aviation equipment. the needs of particular clients. The scope of their activities includes construction design, process modelling and safeguarding technical documentation pertaining to production. These companies represent the following industries: aviation, automotive, and the machine sector, as well providing elements for the space sector. Moreover, the automotive and machinery sector is supported by 'Lublin Automotive and Machinery Upland Foundation', which aims at establishing ecosystem, that will increase the competitiveness of Lublin industry in trilateral cooperation between entrepreneurs, universities and local government. Just after three years since the opening, ABM Greiffenberger’s plant in Lublin shows considerable potential to become the driving force behind development of the whole senata Group. ABM Greiffenberger was established in Bayern and began making its mark on history already in 1927. It is part of senata Group, international electromechanical corporation. In 2013, the company opened its plant in Lublin, where it has been manufacturing electric drives and efficient gearboxes being applied in multiple industrial sectors, for example in hoisting technology and warehousing, in material handling and in e-mobility, in biomass heating systems and other markets. As conditions in Lublin have been very favourable for developing business, in 2016, the company started another investment project aimed at opening a Research and Development Centre and, therefore, doubling its employment. 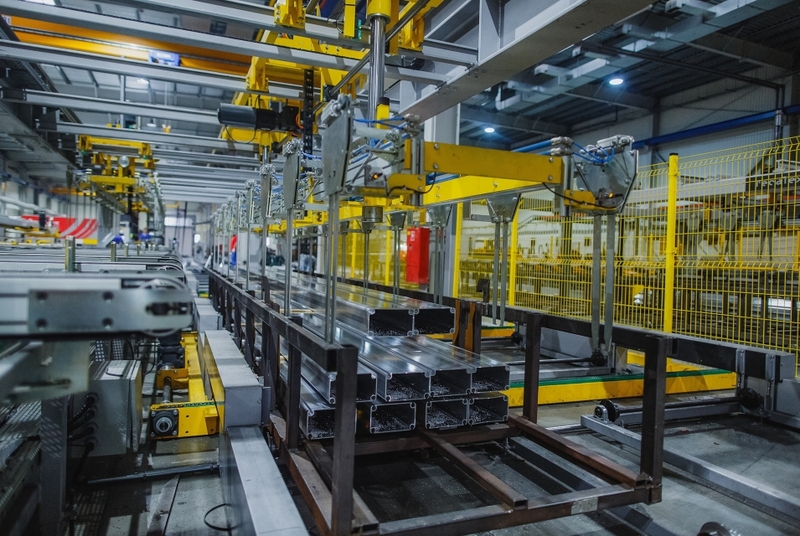 Rapid growth as well as products of superior quality allowed the plant in Lublin to become the driving force behind development of the entire holding. Back in 2012, the management of ABM was looking for a city where its new production plant could be located. Lublin offered not only measures that were conducive to foreign investment, i.e. Special Economic Zone intended to facilitate rapid economic growth, but also German-like work culture and good access to a pool of highly-qualified staff. What especially convinced ABM’s management to invest in Lublin was close and active involvement of the city’s authorities running a wide range of support, assistance, and advisory services for businesses of all sizes at any stage of investment project. As the company intends to put down its roots in Lublin, cooperation with the local government is of particular importance. 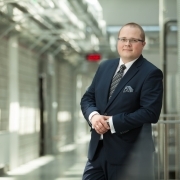 Lublin offers conducive measures to electromechanical companies that can benefit from yet unexploited labour market, attractive investment areas as well as ample research and development opportunities provided by Lublin University of Technology. Furthermore, as it is in Lublin where the Polish Centre for Electromobility is to be located, the sector in question will be provided with even better chances for successful development. Given the support the team of Lublin City Hall has already provided to companies operating in the city, ABM’s coming success is inevitable. 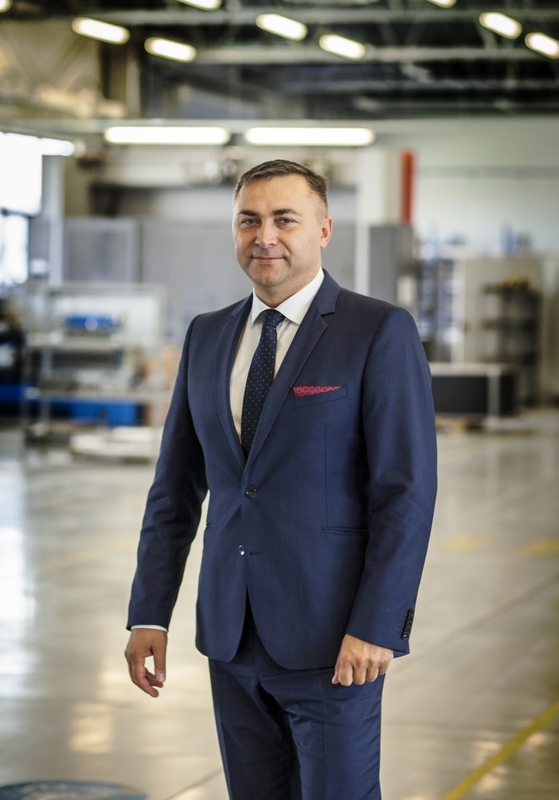 Over nearly two decades, GT85 Polska has transformed from a micro-enterprise into a trusted supplier of comprehensive and innovative machinery solutions for international leaders in various sectors of industry. Our company has been connected with Lublin since the very beginning. We specialize in industrial cleaning machines. Among our customers are domestic and international companies operating in the aerospace, automotive, machinery and mining industries among others. 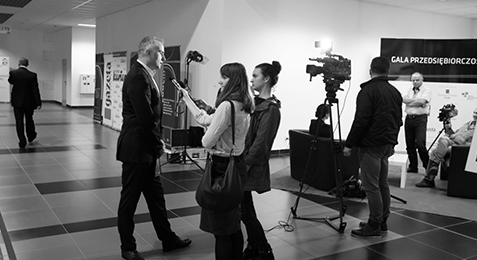 Having decided to invest in a new production hall, we considered various locations in Poland. 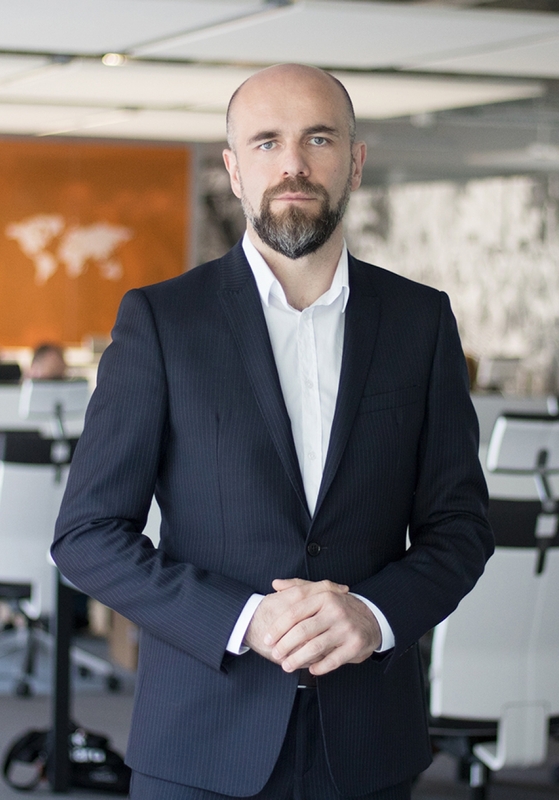 We chose to remain in Lublin, with the major argument supporting this decision being exceptional support from the Investor Relations Department in the process of locating the project within the Special Economy Zone. Our partnership with the town was, and still is, one of the main catalysts of growth of GT85 Polska. Lublin offers a good environment for the development of advanced engineering, with plentiful resources of qualified engineering personnel. Indeed, we have been capable ofbuilding our team using locally available personnel. We offer young, talented graduates the opportunity to develop. Lublin is also a very good location for holding business meetings. The proximity of the atmospheric and vibrant old town makes our customers very eager to visit, and they always have a good time. This certainly improves the atmosphere and outcome of business negotiations. Being of local origin, I have been observing the dynamic changes taking place in the city for years. Lublin has already reached a level that guarantees growth to companies based here, as well as a high standard of living to their employees.Nevertheless, efforts are being made to further improve that state of affairs. I am pleased with the expansion prospects created by Lublin Airport and the expressway to Rzeszów, which will soon connect the city with our business partners in the south of Poland. GT85 Polska Sp. z o.o. Due to the long tradition and its location in the heart of a large agricultural region, Lublin is an important food processing centre. Lublin Region is the Polish centre for agricultural production which provides 1/3 of the raw material for the entire domestic market. Its natural topography, climate and fertile soils are invaluable assets. Growing various types of cereal, industrial plants, vegetables and fruit, along with animal husbandry, allow Lublin to be a source of raw material supply. Moreover, the ecological food sector is also growing rapidly, with 2000 farms being run in the region. The best-developed sectors in Lublin include grain-milling, fruit and vegetables, dairy, meat, brewing, herbs, bee-keeping, tobacco and spirits. Businesses benefit from cooperation with higher education institutions, which allows them to develop their products and implement innovative solutions. Farmers are keen on being supported in introducing new crops for industrial needs. Additional advantages are Lublin's strategic location, good transport infrastructure as well as perfect conditions for running logistics business allowing companies to distribute their products successfully. 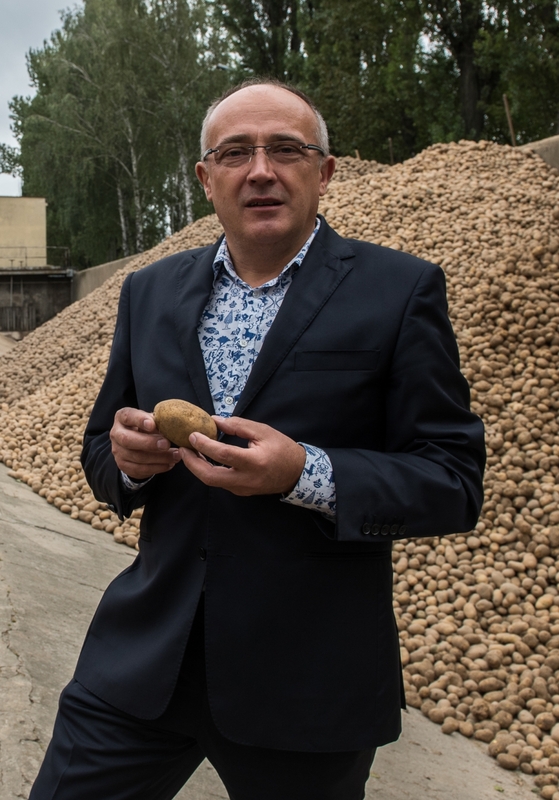 One of the oldest still operating Lublin industrial plants is currently experiencing its second youth, supplying premium potato intermediate products to the market. Zakłady Przemysłu Ziemniaczanego (ZPZ, Potato Industry Plant) "LUBLIN" is a living industrial history of Lublin. The company started its activity in 1909 and since then have constantly supplied food manufacturers with the highest quality intermediate potato products. At present, the Lublin plant specialises in potato grits, which is the leading Polish producer; potato flakes whose quality is valued both by Polish and foreign recipients; as well as glucose syrup obtained from potato starch, which is the only producer in the country. This syrup is a unique product, completely safe for people with allergies and gluten intolerance. Lublin, as the capital of the agricultural region, is an ideal place to do business in the food processing sector. Thanks to this excellent location, ZPZ can cooperate on a partnership basis with potato growers from the region, and thus take a rigorous care of the quality of the raw material that goes into production. The company, after the difficulties of transition in the food market, has put a high premium on quality and now supplies only the finest products to the market. The openness of the City of Lublin to prop up all actions supporting the locally operating industry is also particularly important concerning further ZPZ plant development planning and future investments. The current situation of ZPZ, the satisfaction of contractors with the quality of products offered by the company and the development opportunities in Lublin allow us to look forward to the future with optimism and continue to write the history of this company well-deserved to the city. ZPZ "LUBLIN" Sp. z o.o. We have nearly 140 years of experience. In Lublin, where we have been operating from the very beginning, we can not only find suppliers almost at our fingertips but also use multiple opportunities for collaborating with higher education institutions in the field of research and development. We aim at providing customers with products of the best quality. 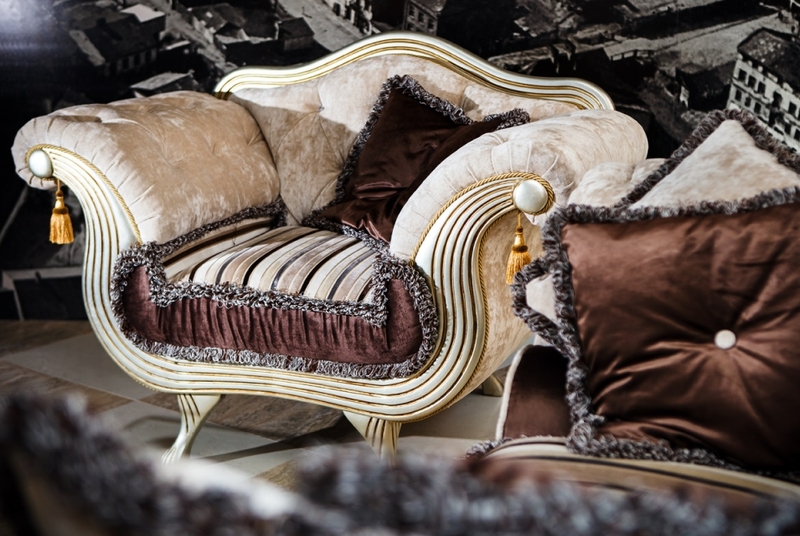 This can be achieved only by being provided with raw materials of top quality. Production in Lublin, the capital city of the farmland region, offers excellent opportunities and direct partnership with suppliers. Close relations with farmers allow us to adjust crop cultivation and breeding new species in order to meet our production needs. Durum wheat, introduced to Polish agriculture as a result of our efforts, is a perfect example of such cooperation. Most of its fields are located in Lublin Region. We not only monitor its cultivation, from sowing to harvesting, but we also provide theoretical and training support to our partners. Moreover, close ties with academic and scientific milieus are particularly valuable to us. We use the results of their research work and, at the same time, support them by providing materials and the opportunity to verify their studies in practice. We cooperate with the University of Life Sciences in Lublin in the field of innovation in the extrusion and cultivation of durum wheat. The Lublin University of Technology is our partner in organising trade conferences, as well as student apprenticeship and internship programmes. 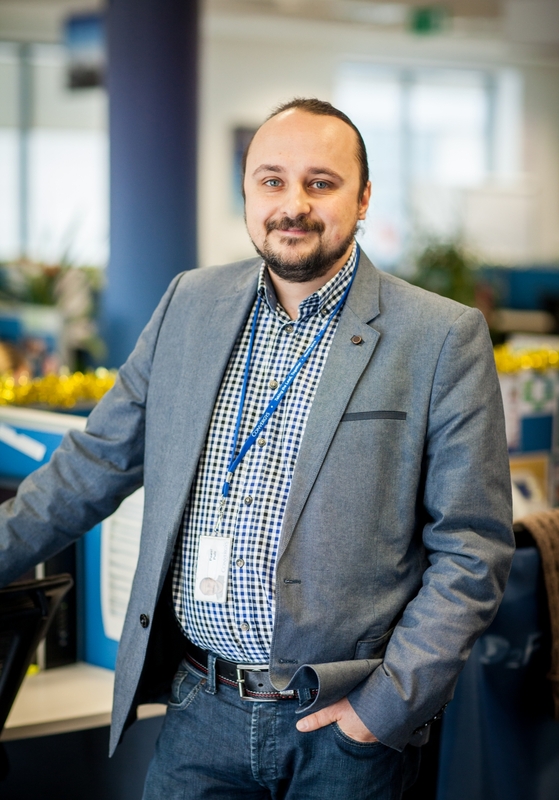 Graduates of higher education institutions in Lublin make up a significant group of our employees, especially in the quality assurance department, which handles the control of our products. This allows us to offer the best quality only. 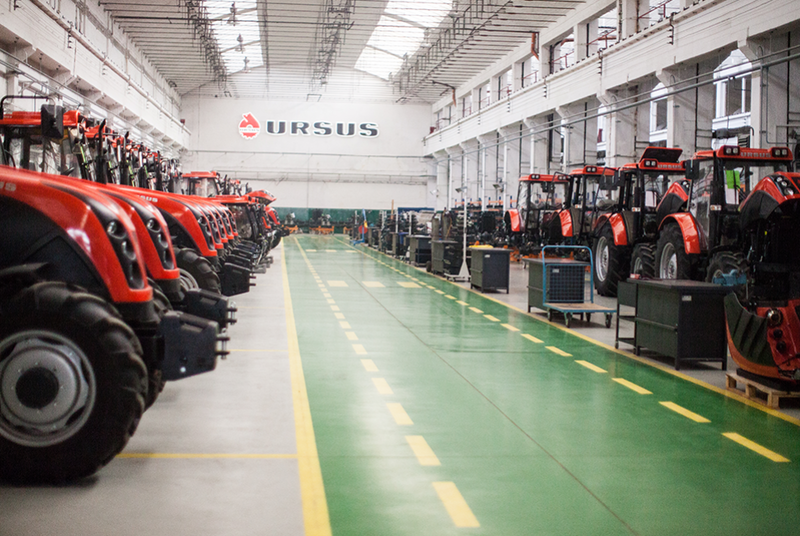 Due to close bonds with Lublin City Hall, the entire Lubella production plant was incorporated into the Special Economic Zone. As a consequence, we will see further investment in the production and warehousing facilities and expansion of the entire enterprise. Lublin - the largest industrial centre in eastern Poland - has a very rich industrial tradition, is the location of many companies with a significant position on the European market, and offers attractive development prospects providing the necessary infrastructure. than in the western part of Poland, as well as Lublin'stransport accessibility ensured by the airport and now modernised transit routes for car transport and railways, which allows access to the DCT terminal and seaports in the Baltic. The development of industry in Lublin is supported by high quality technical secondary schools and universities, including the Lublin University of Technology, which establish cooperation with enterprises in the field of research and development as well as preparation of study programmes tailored to market needs. Ledrin was established in 1993 in Lublin in response to the demand of German contractors for the highest quality leather accessories. From the very beginning, it has been producing shoulder bags, briefcases, bags and backpacks. 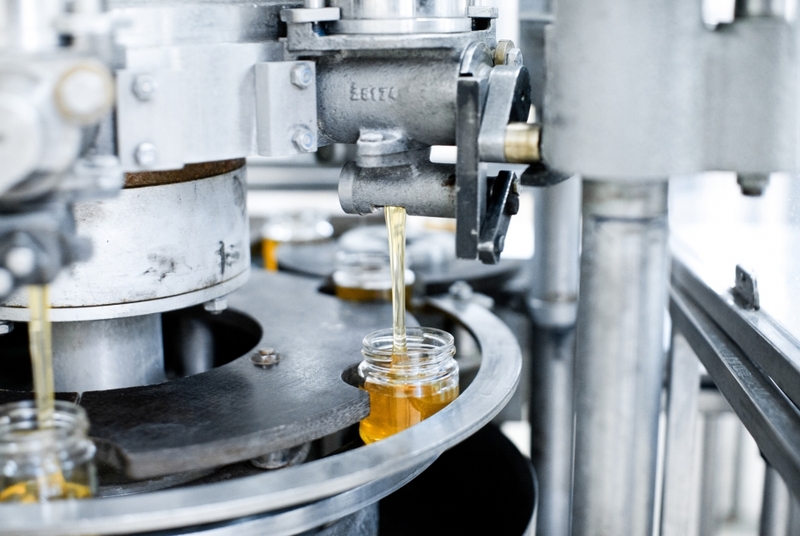 The basis for success has been to ensure fast, clean and reliable production of reproducible quality, which is often not guaranteed by competitors in the Far East. This allowed the company to develop gradually and build its reputation on key markets: German, Swiss, Dutch and Polish, based on the quality of production and valuable support in designing new products. In the early 2000s, Ledrin's experience in the industry led to the creation of its own brand name DAAG for individual European customers. In 2010, Ledrin was granted a permit to operate in the Special Economic Zone Lublin Subzone, thanks to which a modern production plant was opened at the end of 2012, which created prospects for further development. 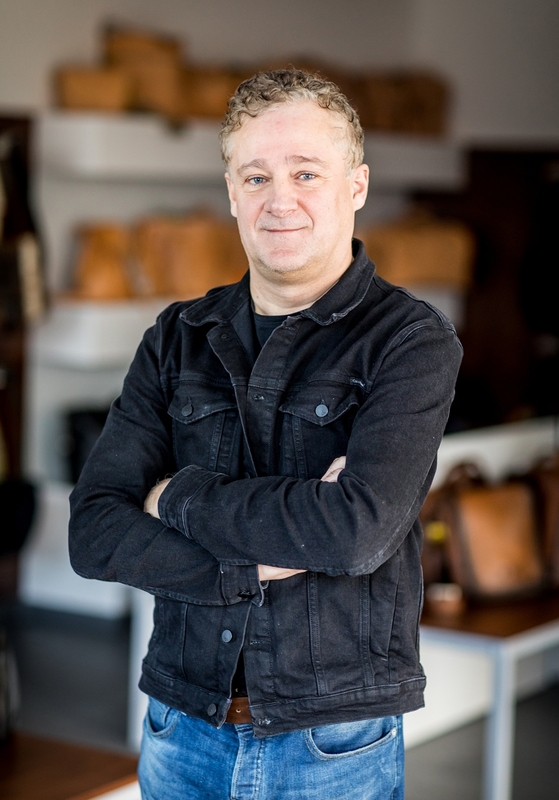 It allowed the company to invest in the latest technologies and specialised software, which enabled it to produce its assortment of the best quality leather for the most demanding customers. The possibility to operate in comfortable conditions in the developing infrastructure of the city - airport, expressways - made us decide to extend the plant in 2017 as part of the second SEZ permit. I hope that a network of connecting flights to hubs from Airport Lublin will develop just as quickly as Ledrin. It is the basis for further business development in the city. Aliplast was one of the first companies to locate their business in Special Economic Zone Lublin Subzone. Consequently, for ten years, Aliplast is presented as a role model for being successful in Lublin. Aliplast manufactures advanced aluminum systems. Established in 2002 as a member of Aliplast Group, corporation of Belgian origin, the company is founded on long experience of Lublin-based business, Tabal. 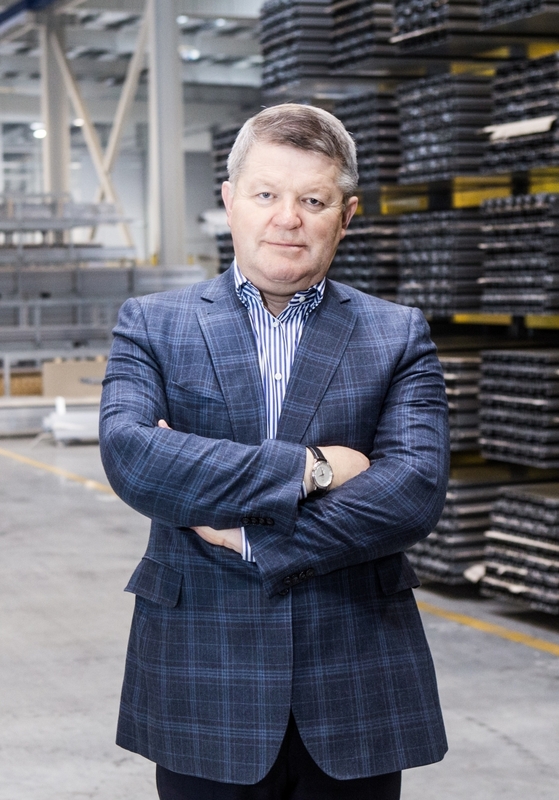 What has always mattered for Aliplast was not only expansive development but also the highest possible quality of the goods being manufactured and development of new solutions to be applied in aluminum profiles. In 2007, the need for building a new, modern warehouse and production plant coincided with local government’s plans to create Subzone of Special Economic Zone in Lublin. Consequently, Aliplast was one of the first businesses to move in the Subzone and it was the first to launch production in 2009. Convenient location, conditions allowing for large scale manufacturing, access to modern production lines, press stations and painting rooms, as well as support provided by the teams of Lublin City Hall on all stages of the investment process enabled Aliplast not only to achieve a sixfold increase in sales volume in eight years’ time but also successfully expand abroad. Nowadays, Aliplast is one of the key players in Middle-Eastern Europe and Balkans. It also has sales representative offices in the USA and Cambodia. 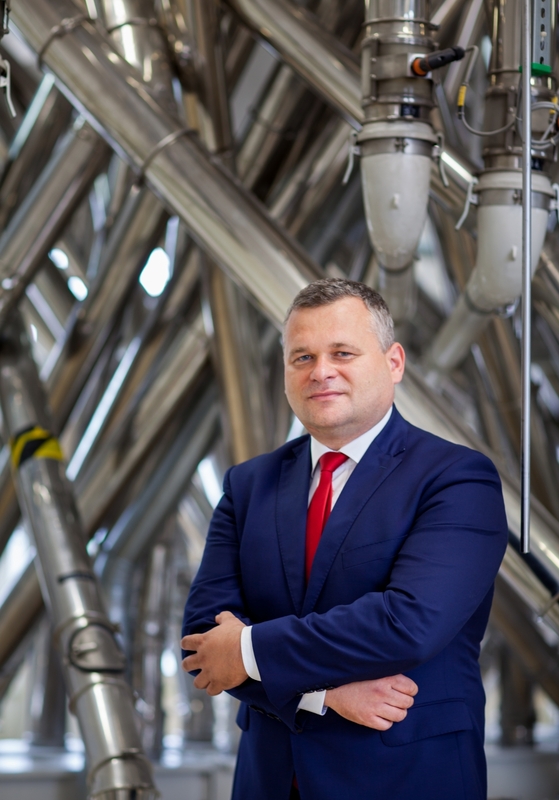 Aliplast has proven that it is possible for a Lublin-based company to become internationally successful. Since foundation, employment in Aliplast has increased from 15 to 500 members of staff. Rapid development and favourable business-friendly environment in Lublin allows Aliplast to make new investment plans and develop within SEZ Lublin Subzone. Lublin's assets, such as its location and infrastructure, will allow it to become the primary logistics centre for the eastern border of the EU. It owes this to its favourable location at the junction of transport routes heading from the Baltic states to the Balkans, and from Western Europe to Ukraine and Russia. An additional advantage is the transport network being constantly developed as well as excellent access to investment resources. High-flow-rate expressways surround Lublin. The railway infrastructure allows for transporting goods to Eastern Europe as well as to Baltic seaports, and Lublin airport offers freight transhipment. Moreover, the city is abundant with investment areas perfect for logistics, as well as industrial developers, and local government institutions provide full support to entrepreneurs during the entire investment process. Lublin is proud of its vast pool of highly qualified employees, graduates of such universities as the Lublin University of Technology and the Technical School of Transport and Communication. What proves that the city offers great opportunities for industrial developers operating in the logistics sector is the fact that key players in the sector located their businesses here. 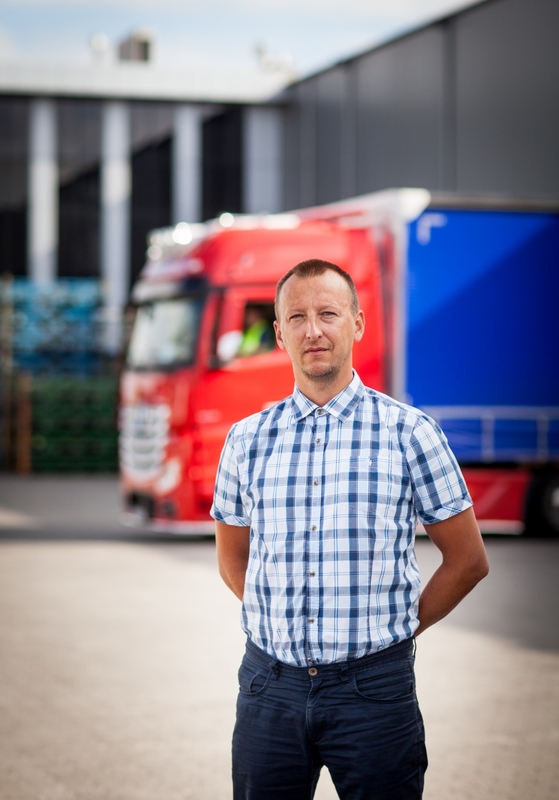 Only in five years of operation, Mełgiewska Logistics Centre tripled their warehouse space and obtained access to a railway siding, as the only logistics centre in Lublin. 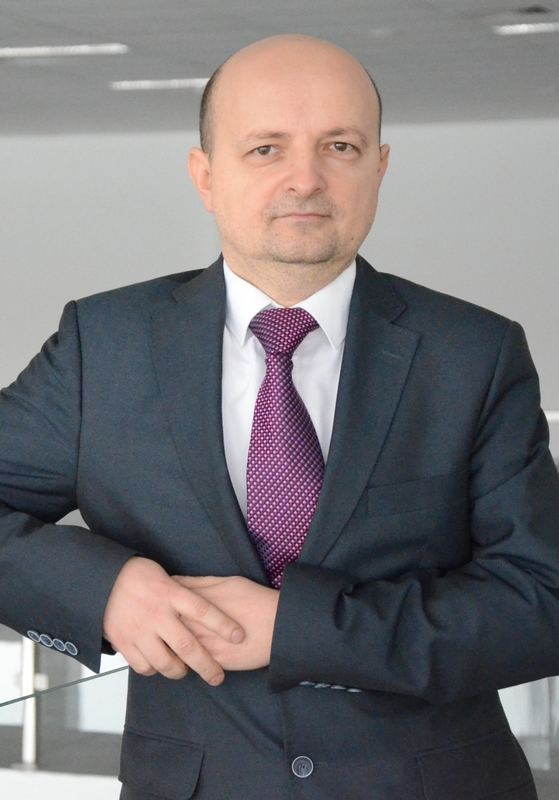 Stanisław Pawłowski, the owner of Pawtrans transport company, identified the unexplored potential of logistics in Lublin. He built an A-class warehouse - one of the first buildings of this type in the city. This is how Mełgiewska Logistics Centre was founded. The company did not have to wait long to serve its first customers interested in renting the warehouse space being offered. They were attracted not only by the convenient location of the centre, which is close to the expressway and the airport but also by our open-minded and customer-centric approach. For example, one of the buildings was designed and built to meet the expectations and needs of its current user, an operator of spedition services. The potential of the local logistics market allowed us to expand and move to the building of a former car factory paint shop. The facility was suitable for storage and production, provided access to truck scales and a railway siding, which we are planning to use for offering transhipment services to third parties. An excellent location at the junction of transportation routes, high-quality transport infrastructure in and around the city and access to the airport make Lublin an excellent source of expansion opportunities for the logistics industry. This is proven not only by a rapid increase in the number of warehousing and industrial facilities being available in the city but also by growing interest of prospective customers who will be able to recruit highly-qualified personnel graduating from top universities. Additionally, each investor will be provided with the professional support offered by members of staff of the municipal government administration. 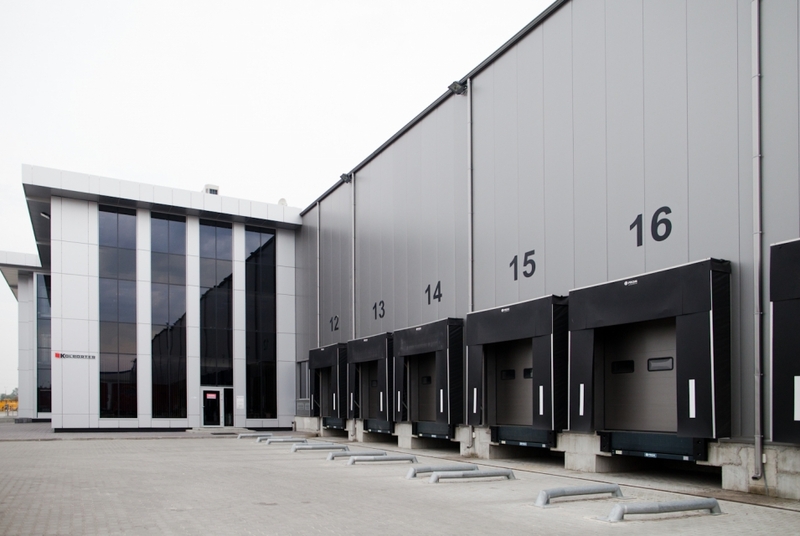 Expansion of industrial enterprises depends on logistics services and, thus, their dynamic growth shall continue to provide expansion opportunities for logistics centres situated in Lublin. Lublin, due to an extraordinary quality of life and the accessibility of office spaces, is seen nowadays as a key location for the modern business services sector in Eastern Poland. number of jobs. Among companies in thesector, more than ten international investors employ over 100 people. Moreover, Lublin is the largest field of modern office spaces as well as real estate for investments in the eastern part of Poland, with one of the highest office-space growth dynamics. Lublin's advantages are also the discernibly more competitive costs of space lease and significantly lower processing rates during the purchase of real property compared to other large cities. The city is a reservoir of educated staff for BSS companies. Each year, higher education institutions in Lublin provide almost 20,000 graduates, among which a large group has experience in specialised business services. One of the world leading companies on the BPO market was looking for a perfect location to run the highest quality contact center for one of European key accounts. This place was Lublin – the city of creative people. Convergys is a global corporation headquartered in the United States. It is the second largest BPO provider and employs more than 130,000 people in 149 locations around the world, offering customer care services in 58 languages. Convergys serves companies from almost every business sector that needs to maintain exceptional relationships with their customers. 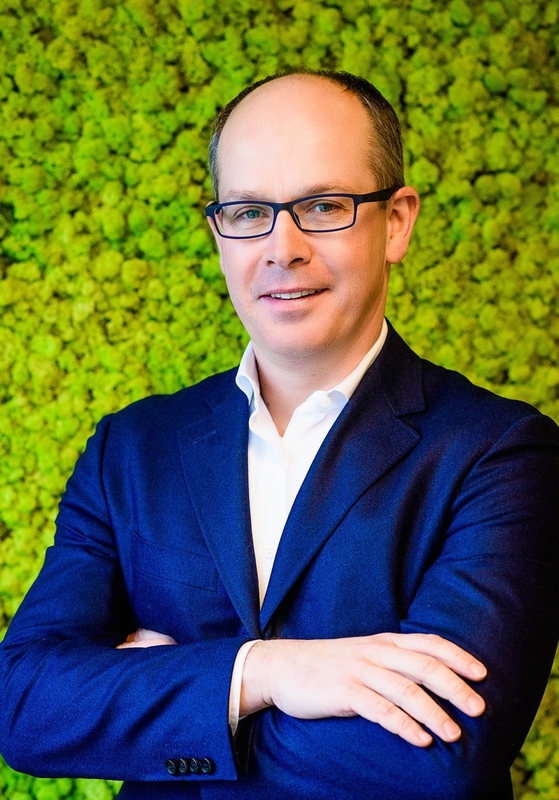 Along with the win in a tender to operate Telefonica Deutschland's nearshore contact centre, the company made a decision to search for a location in Poland. The second subsidiary in the country (after Szczecin) must have been located in a city with qualified human resources, A-class offices and emerging business services sector. Convergys chose Lublin and in May, 2014, opened its contact centre serving phone and email inbound communication in German and English for German mobile communication provider O2. Lublin was considered better location than Bydgoszcz and Opole thanks to outstanding growth perspectives and supporting business environment created by Investor Relations Department of the City of Lublin. Convergys paid attention to design Lublin Subsidiary to be ergonomic and employee-friendly and to ensure comfortable working conditions. Hence, after three years, Convergys in Lublin is ready to develop and serve other clients in more than 10 European languages. Local authorities should understand business and willingly answer its needs. That is how it works in Lublin. Moreover, local universities are amenable to cooperate in order to adapt their educational offer to business demands. Employees recruited in Lublin are very creative and ensure high quality of customer service. It proves that Lublin is an ideal city for business services sector development. 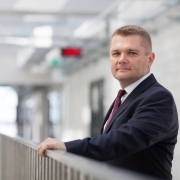 The Orange Polska Accounting Shared Services is one of the first shared services centres in Lublin, from which began the expansion of Lublin’s B2B service sector. The Accounting Shared Services was established to provide high quality financial and accounting services to companies of the Orange Polska group. Other locations in Poland were considered. Ultimately it was decided to choose Lublin, due to its strong infrastructure, large academic population, low market saturation and the attractiveness of the city. Since October 2006, when operations were launched, daily practice confirms it as the right decision, and the centre itself has won numerous awards from the international sector organisation Shared Services & Outsourcing Network. Lublin offers very good conditions to companies in the B2B sector. Namely, qualified employees, high schools, a rapidly developing office-space market, high quality of municipal services and also tourist attractions. Lublin is a place where you can have a good time. It is not yet as famous as the more popular tourist cities of Cracow, Wrocław and the TriCity, but this also means that the local market is not as saturated. Thus, Lublin is the ideal location for a second main branch, the existence of which is often necessitated by in-house standards and safety considerations. The city’s potential is further increased by its air and road links. Local government, meanwhile, supports contact between business and academia, with the objective of educating the skilled employees of tomorrow, and also offers assistance in finding suitable office space. The conditions have been created that enable further dynamic development of B2B sector. Lublin has one of the best developed IT ecosystems in Poland in the form of the Lublin IT Upland (LWIT), which is supported by a continually growing pool of IT talents and opportunities to locate companies in modern office buildings. which already employs over 5 thousand people, makes it possible to find also experienced IT specialists on the market. A short distance from Ukraine is also an opportunity to attract skilled workers from the Ukrainian market. 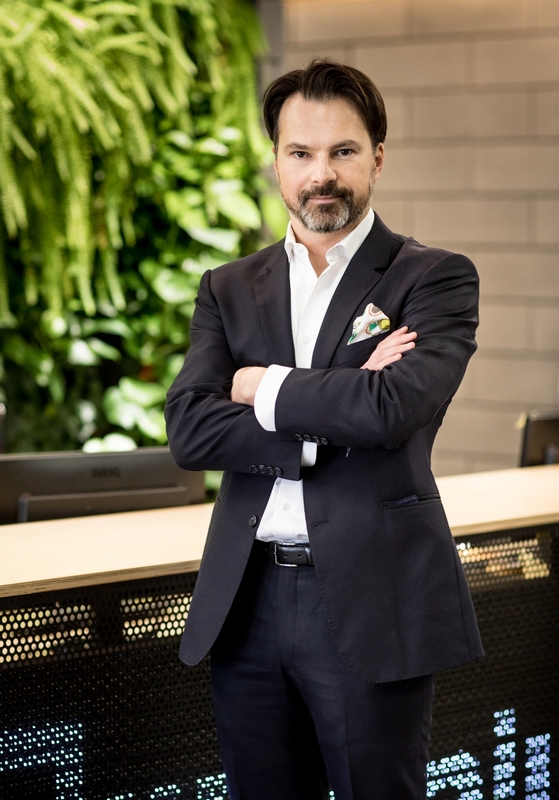 The team built in this way can use modern office space in Lublin, thanks to its high supply and lower prices than in other key centres of the sector's development in Poland. This creates comfortable and friendly conditions for creative work, which also has a positive impact on the integration of employees within the LWIT ecosystem during meetings organised for technology enthusiasts. Sollers Consulting sees that the primary barrier to growth in the IT services market is the ability to build a team. Lublin provides this opportunity, at the same time ensuring the dynamics of development comparable to Warsaw. Sollers Consulting was established in 2000 in Warsaw. Its key areas of expertise cover business consulting and integration of IT systems mainly for the financial sector, in particular in the insurance industry. The company offers its clients the implementation of core and digital systems to support contacts with the client. 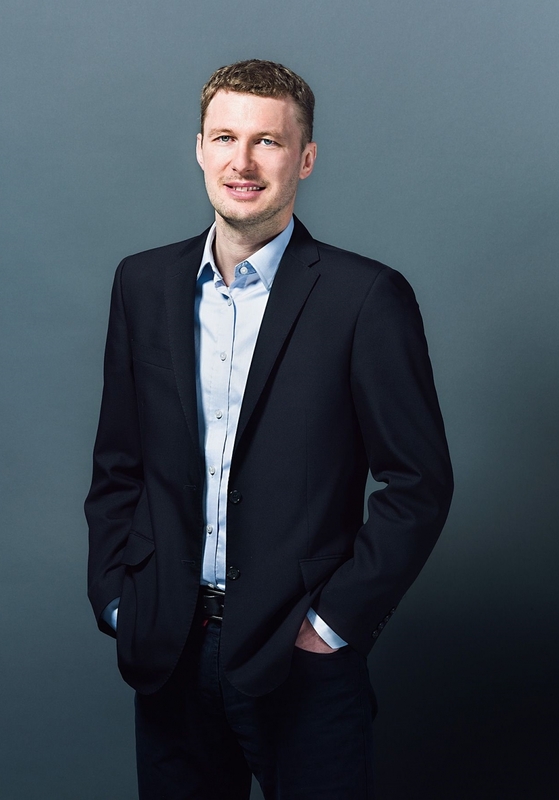 Currently, Sollers Consulting has four offices: in Warsaw, Lublin, Poznań and Cologne, Germany, and at the same time, it serves customers all over the world. Apart from Poland, its clients come from German-speaking countries, Scandinavia, United Kingdom, Japan, Australia, the United States and Brazil. 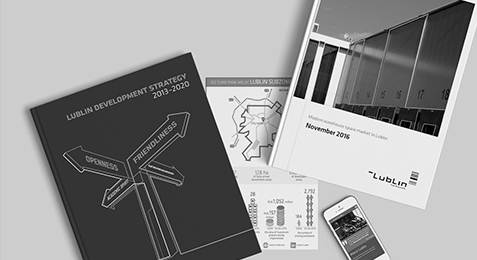 When the need for more dynamic development appeared in 2012, we conducted detailed business analyses of the potential of locations of the new office. We checked, among others, the availability of IT graduates, IT specialists, the quality of university education and connections with Warsaw and Europe. Based on that, we decided to go to Lublin, and we are satisfied with this decision. We have built a team of over a hundred people here, and thanks to the brand new office space we can double our staff in the coming years. 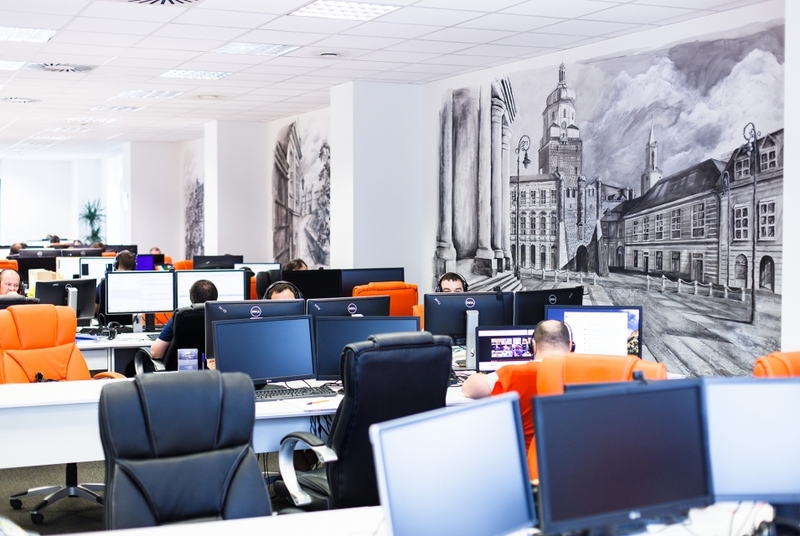 Lublin is a place where an IT company can grow dynamically. Universities focus on IT, and the rapidly developing city offers a high quality of life. Public investments make young residents want to stay in Lublin, and many decide to return to the city from abroad (e.g. from Ireland) or relocate. Our employees appreciate shorter commutes to work, greater opportunities in the real estate market in comparison with other cities. Thanks to that we are sure of our further development in this city. The history of Codete began in 2010 with my self-employment business activity in Częstochowa. Already in 2012, together with my partners, we opened an office in Kraków. Our first client came from the USA, and by recommending us by satisfied contractors, we started to build a reputation abroad. In the beginning, we specialised in PHP technology, but with the development of our business, we focused on the area of data science. Today, in three locations - Kraków, Lublin and Berlin - we employ over 100 people, serving customers from all over the world, including the most prominent global brands. We came to Lublin in 2016 thanks to our employee, who decided to return to his hometown. Having familiarised ourselves with the possibilities offered by Lublin in terms of IT development: the presence of many universities offering IT studies, availability of qualified programmers and openness to employees from abroad, we decided to build our second office in Poland around him. 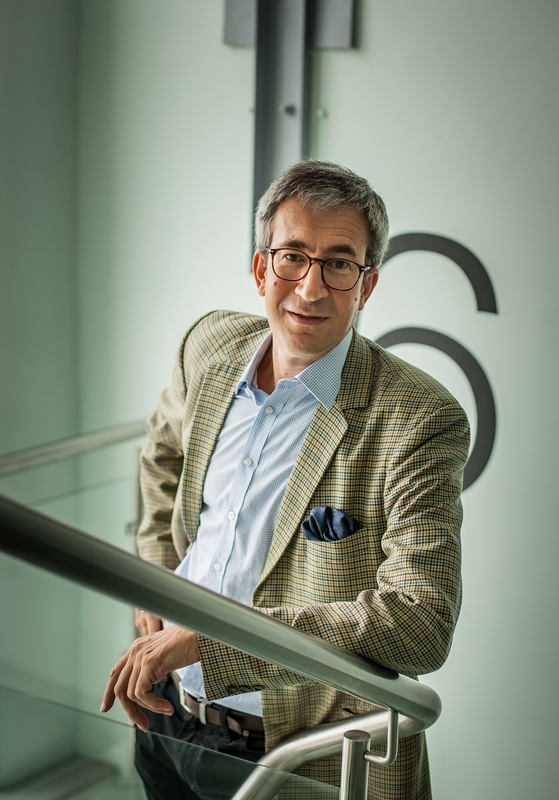 This situation illustrates our approach to employees - the highest value of the company, thanks to which the Codete brand is already well renowned, especially on the German market, and appreciated for the quality and innovation of services. Today Codete is a trusted partner in the field of data science and artificial intelligence development for such global giants as BMW, Kia Motors or Daimler from the automotive sector, Wells Fargo and HSBC from the banking sector, as well as Fyber, Motorola and Deloitte. We show that the Polish company can provide the largest companies with solutions of the highest global standard. Onwelo provides modern IT solutions that impact the business growth of companies in a range of sectors from all around the world. 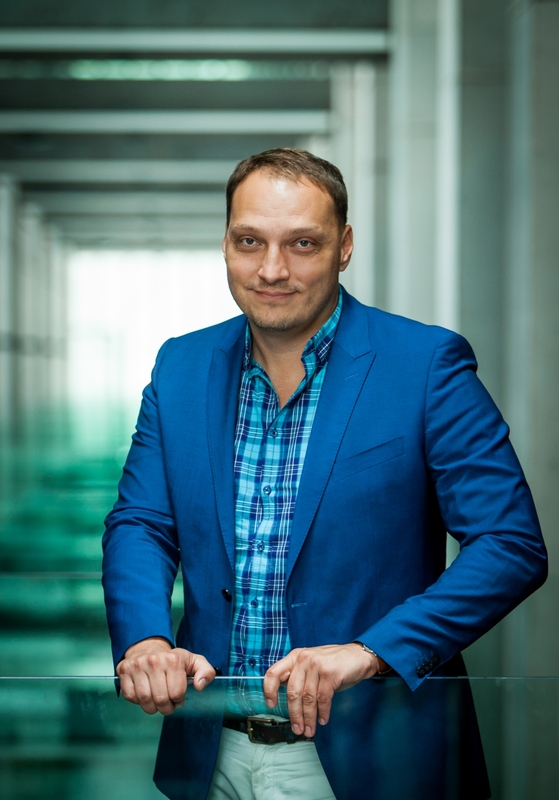 We are one of the fastest-growing tech companies on the Polish market. Since July 2015, our team has grown to over 300 employees, we have opened offices in 7 cities in Poland, a branch in the U.S. and have completed over 200 projects in Europe and the United States. The next step is to open an office in Lublin, a city with huge dynamics. A number of reasons stand behind this decision. The growth of the IT environment in that region triggers the local economy development. The city provides rich educational resources with an array of institutions offering IT courses. The number of IT related events is also on the increase. Lublin IT Upland is home to the unusual diversity of this industry. The project is a result of the cooperation of the local authorities, leading academics and stakeholders. It is also significant that Lublin is a liveable city of big housing investments with compact structure and good transport connections.These factors contributed to the fact that we decided to mark our presence in Lublin and be part of the rapidly growing industry in this region of Poland. This is the perfect location to develop business based on new technologies. Creating an office in Lublin, we choose full professionalism of action. Our goal is to always assist our clients in the business development process, from needs analysis to building systems and post-implementation support. Thanks to such cooperation, the customer is provided with a tailored solution, whereas we discover the sector's requirements represented by such organization. At Onwelo, we pay great attention to the high level of work quality and with the same capacity, step by step we build our Lublin office. Billennium is a Polish company that provides IT services for clients from all over the world, and its operations on a global scale are managed from a modern Service Delivery Centre in Lublin. Billennium was established in 2003 in Warsaw. It creates innovative IT solutions using its expertise in outsourcing, software maintenance and development, and Cloud computing. The company manages software of clients from around the world, including global brands such as ROCHE and ABB. Thanks to Asian offices, Billennium can provide services in line with the 'Follow the Sun' strategy - 24 hours a day, 7 days a week, 365 days in a year. In Lublin, the company started its operations in 2011 with five employees - today there are already more than three hundred of them, and within a few years probably their number will exceed a thousand. The idea of locating a branch in Lublin came from the employees of our office in Warsaw, who were from the Lublin region. It was Billennium's first location outside the capital city. 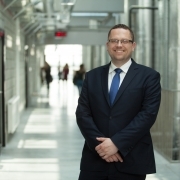 Soon Lublin began to demonstrate its advantages - talented and committed employees, universities educating young IT specialists, and synergy achieved through cooperation between business, universities and local government. Thanks to that, today the largest branch of the company is located in Lublin, and the most significant global processes are managed from here. Lublin has turned out to be a place that offers excellent opportunities for our company to grow. For this reason, in 2017 we moved to a modern office, which is ready to take on new challenges that are emerging with the global development of Billennium. It was an investment in the comfort of the team's work because it is their knowledge and commitment that determines our global success. OPTeam S.A. is a public company providing IT solutions to businesses, higher education institutions and public bodies for over 25 years. It leads in developing and integrating electronic card solutions and is a tycoon in implementing professional ERP systems. The subsidiary in Lublin was established in 2010 and specialises in business solutions offered for over 10 years. OPTeam is the largest integrator of Comarch ERP XL in Poland. Currently, the major part of services provided by Lublin subsidiary involves project consulting and development of ASP.NET software. In the nearest future, company's management is planning to hire new heads and develop new mobile technology solutions. 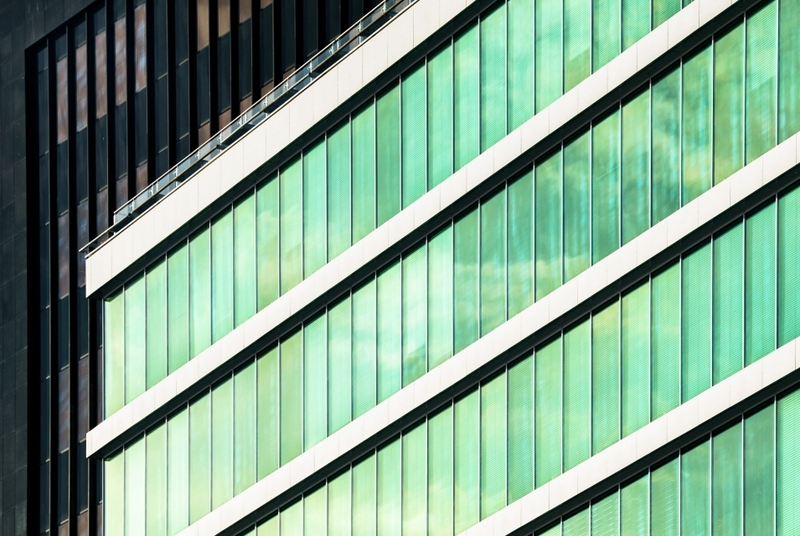 Due to being located in Lublin, this subsidiary shows enormous development potential. This academic city provides the company countless opportunities for cooperating with higher education institutions in conducting various types of scientific research. These chances will result in the company's offer being extended and more customized. 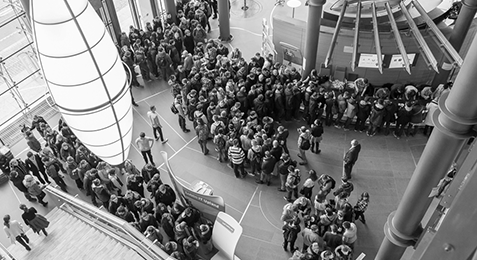 Moreover, OPTeam recruits new employees from the pool of students and graduates of Lublin's universities. The company is also open to IT specialists from Ukraine, who find Lublin an attractive place to live. The improving infrastructure in the city is an additional advantage which makes it easier to commute, travel and reach customers all over Poland. OPTeam's staff are engaged in a number of activities and projects conducted by representatives of the local government. As a result, an IT-friendly ecosystem is being built. Company's representatives participate not only in business breakfasts organised by the team of the Municipal Government of the City of Lublin, but also in a variety of projects aimed at IT students. With regard to development, cooperation with Lublin Science and Technology Park is also of great importance. Infinite has become one of the major EDI operators in Poland and 24 other countries. Its success was based on human resources pooled predominantly from among IT students attending Lublin universities. The company was established in 2002 by a group of IT specialists developing IT solutions since 1993. Infinite is a part of Emperia Group. Since its foundation, Infinite has become one of the major providers of IT services in Poland. 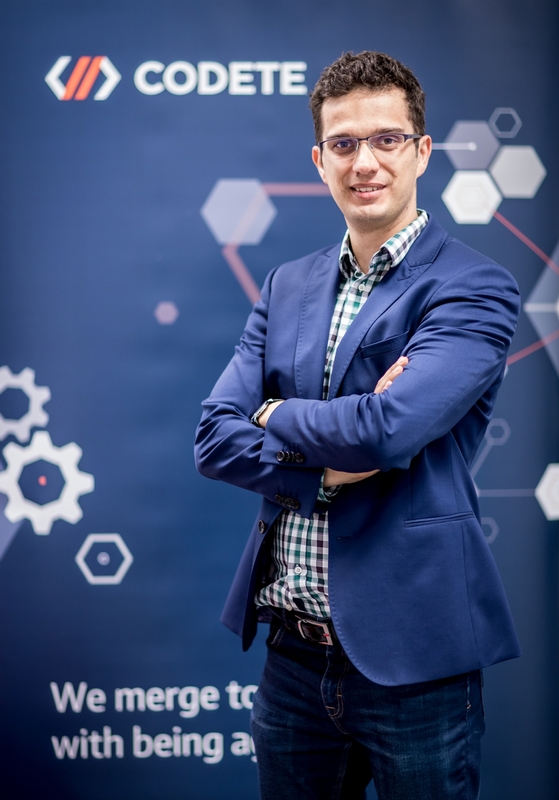 One of its solutions, 'e-Wholesale Outlet' B2B platform, has been implemented in over one third of Polish FMCG and DIY shops. Infinite is expanding and aims at becoming the leader in EDI solutions in Europe. The company seated in Lublin can provide its services to any part of the world. 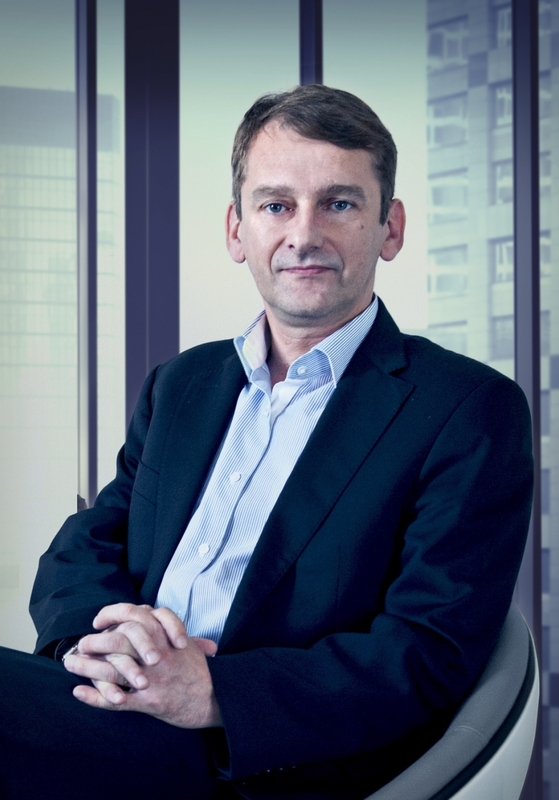 In spite of its dynamic growth and international expansion, company's management have never considered relocating. Lublin provides favourable conditions for running and developing business. Even today, when the ICT labour market in the city has become increasingly challenging - due to actions undertaken by the team of the Investor Relations Department. Infinite's position on the market makes it a highly competitive employer among large, multinational enterprises. Infinite's members of staff are predominantly graduates of Lublin universities. They are hired for their open-mindedness and willingness to work. It is frequently due to their unconventional ideas that the company can offer increasingly vast array of services. Therefore, Infinite gets involved in a number of student-aimed projects, e.g. 'Start with Infinite', which provides students with opportunities to develop in the company or get equity investment for promising startups or companies associated within Lublin IT Upland. The highly rated Lublin's healthcare sector is based on the highest quality medical services and developing biotechnology sector, and its driving force is its strong academic background. There are 13 well-equipped hospitals in the city, including four teaching hospitals of the Medical University, which educate future medical personnel and provide a place to implement unique treatment and diagnostic procedures. The high quality of services and competitive prices in the private sector encourage patients from abroad to visit healthcare centres in Lublin. The sector's potential is strengthened by a successful cluster of healthcare and health-promotion services which offer a cooperative platform for the university, R&D units and healthcare centres, as well as business entrepreneurs and institutions. The cluster supports R&D activity, cooperation between units, and fosters the high quality of medical services. The driving force behind the sector is the academic background - future employees of biotechnology and pharmaceutical companies are educated at four universities. What is more, The Medical University of Lublin is the most popular medical school in Poland among international students from several dozen countries. The implementation of projects with extensive commercial potential is a trademark of Lublin’s universities and research laboratories. 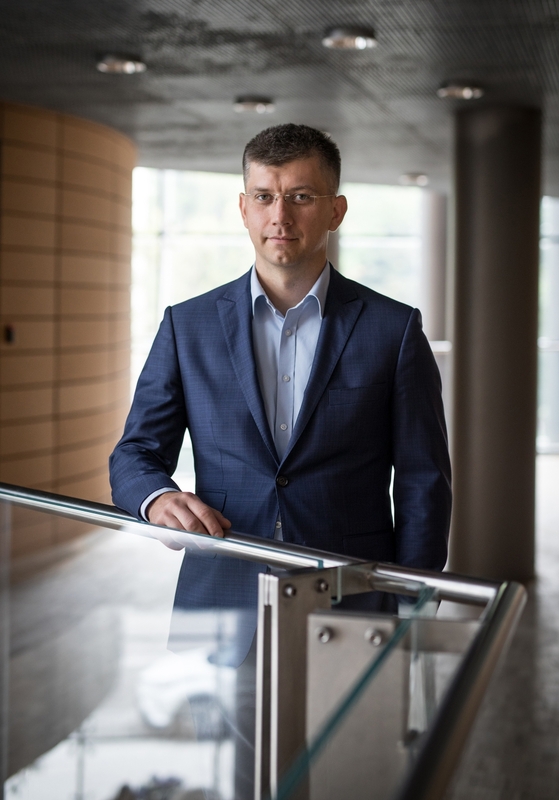 The effects of Lublin scientists' efforts are the invention of artificial bone, a malaria vaccine, the creation of mutanases and ectoine, alongside a number of studies connected with the invention of new drugs, polymers and solutions in energy technology. PZ Cormay has 30 years of experience in the local market, and sends its innovative products from Lublin to customers in over 120 countries. Today, the Cormay Group is an international biotech company with offices in Warsaw, Geneva, Moscow and Beijing, yet which has its key and most modern departments in Lublin, including production, R&D and supply chain management. 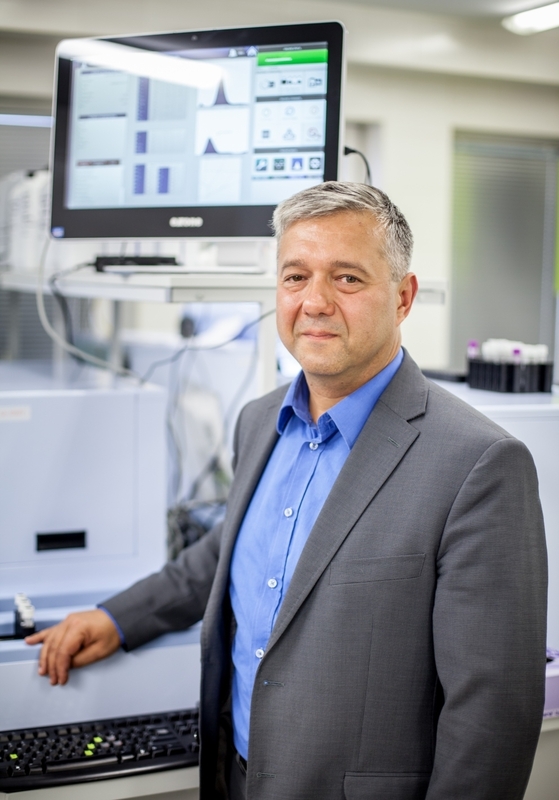 The company has an investment to be established in the Lublin Special Economic Zone - a production and logistics centre, intended to provide state-of-the-art diagnostic equipment and laboratory reagents for customers around the world. Lublin is an optimal location for the further international development of the company. The human factor plays an essential role in creating the highest-quality products in the biotechnological industry. Lublin, with his expanded education industry, including universities teaching in the areas of biotechnology and medical diagnostics, gives us access to a wide range of specialists. They form an important pool of personnel to aid our further developmental needs, and an important link in the creation of product innovations. The nature of our products requires high logistic performance - a condition for operation of the company in the international market. The ability to locate the new factory in a well-located Special Economic Zone and the rapid development of the transport infrastructure in Lublin, especially the airport and road network, aids us in offering even better services to our customers. 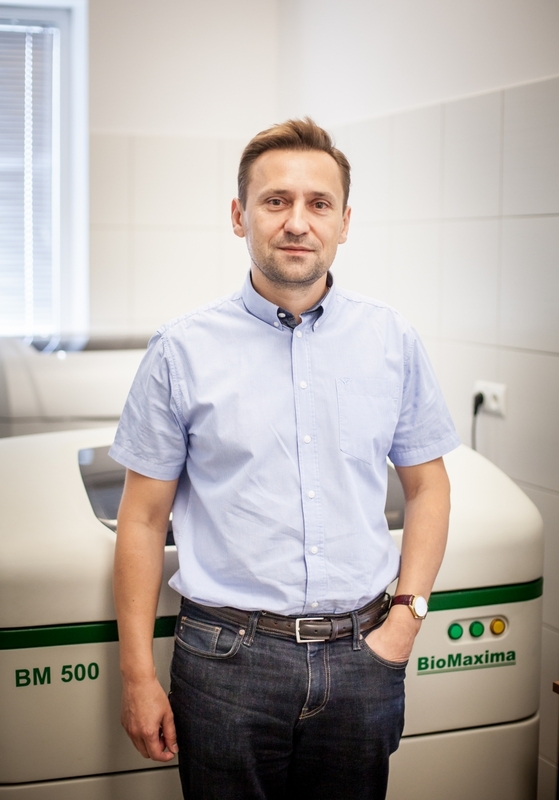 BioMaxima was founded in Lublin and has been developing together with the city, thanks to it having the optimum conditions for the biotechnology sector. We started as a small company founded by people with a background in biotechnology and medicine. Since the very beginning, our development has had two different ways: implementing proprietary products, expanding our portfolio with products by renowned international manufacturers and building relationships with customers on the one hand, and acquiring and investing in other companies, resulting in our debut on the NewConnect market in 2010, on the other. One year later, we opened our new headquarters and production plant within the Special Economy Zone in Lublin; facilities we are planning to expand by adding an R&D Centre. After nearly two decades [in business], we have reached the level of supplying top quality products to thousands of laboratories in Poland and abroad. Our products are available in over 50 countries worldwide, both in Europe – Denmark, Germany, Lithuania, Latvia, Romania, Bulgaria, Greece, Serbia – and also more remote countries, such as Indonesia, Philippines, Iran, Bangladesh, United Arab Emirates etc. The strong development of BioMaxima is supported by the conditions offered by Lublin to the sectors of biotechnology and medicine. Scientific resources, in the form of five high schools with curricula entailing biotechnology, biomedical engineering and medical analytics, provide both potential employment and R&D opportunities. We also enjoy the strong support of the local government, resulting in two actively operating clusters - biotechnology and medicine. Local authorities also promote Lublin-basedcompanies during their business visits and conventions. The Special Economic Zone is a significant strength of Lublin, as it permits convenient investments, of which we are an example. Being a local patriot, I hope that the company and the city have years of dynamic growth ahead of them, and that BioMaxima will continue to be one of Lublin’s calling cards. What distinguishes Żagiel Med on the healthcare market, at the same time encouraging patients from the whole world to take advantage of the medical services, is an exceptional customer service based on particular respect for the rights and needs of the patient. Collaboration with leading medical specialists guarantees high health-care quality. 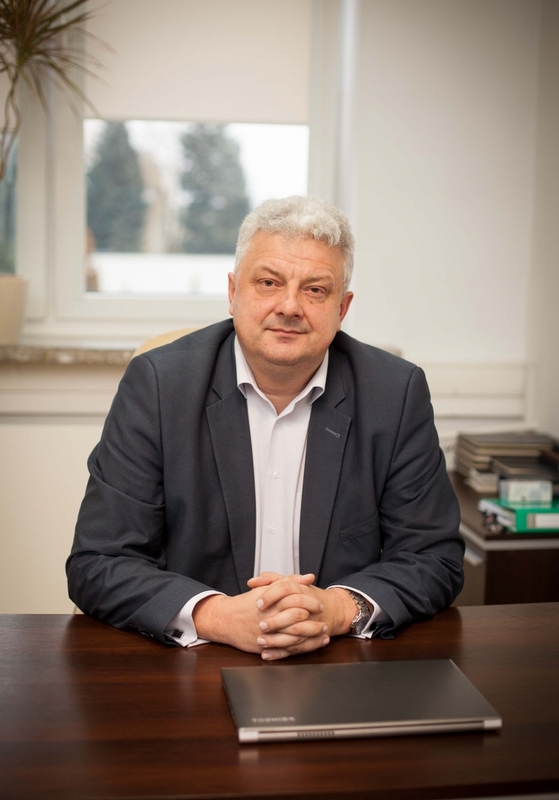 The core members of the staff are professionals with many years experience gained at university Teaching Hospitals in Lublin and in leading national medical centres. 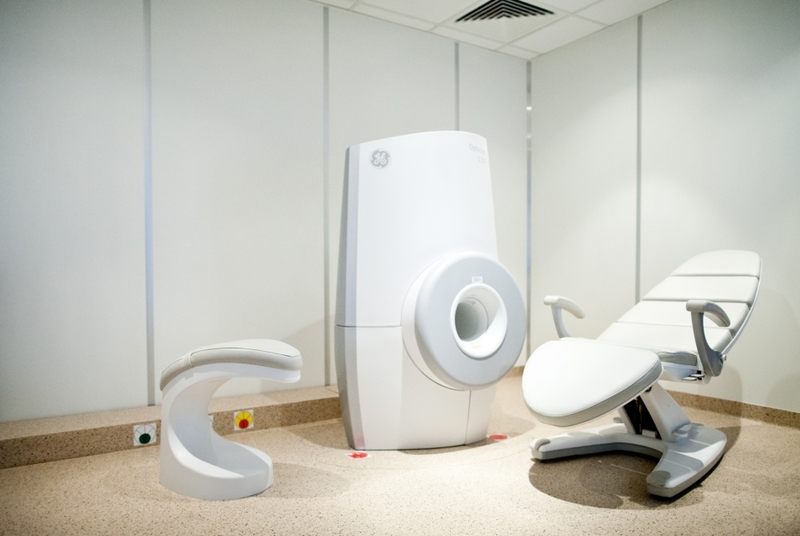 Hospital staff is recognised for treating patients with respect and friendliness, while the treatment itself is conducted in comfortable conditions with the use of modern equipment. Therefore, Żagiel Med Services are recommended in Poland and abroad, and Lublin's accessibility leads to a significant increase in the number of patients from Europe, North America, Africa and the Middle East. Żagiel Med is a well-established and development-oriented company. One of its elements is improving the competitiveness of Lublin medical services market by collaborating with the city and other stakeholders as a part of the Cluster of Lublin Medicine. It is a communication platform used by medical centres, universities, research institutes, business environment, and local government. Moreover, it constitutes an integration mechanism that allows to establish the brand of Lublin healthcare sector and to promote local entities in Poland and abroad. Joint business and marketing initiatives presenting international competitiveness of Lublin medical companies count among tangible results of cluster's activities, which are well beyond the capabilities of individual players. The high quality of services and putting patient's welfare always first allowed us to reach the strong position on the market of commercial medical services within a short period. Current market position and collaboration with the city as a part of the Cluster enable us to look to the future with confidence and to promote our offer globally. Żagiel Med Sp. z o.o. The 21st-century city is not just an area reserved for office buildings and factories, but primarily a meeting place for the exchange of ideas and experiences, as well as an incubator of creativity and modern culture. Lublin, due to its favourable geographic location on routes connecting Western with Eastern Europe, as well as Scandinavia with the Balkans, has always been a convenient meeting place for trade, and intermingling cultures have stimulated the high creativity level of its residents. Modern Lublin offers cutting-edge infrastructure tailored to business meetings: exhibition halls, conference centres and the best hotels with a unique standard of service. Industries connected with culture and creativity thrive in the city. The newly opened Centre for the Meeting of Cultures hosts world-class artists and unique events. It fosters the development of high and alternative culture by organising famous festivals such as the Magician's Carnival and Different Sounds. The city's creative industry is visible both in artists' work, as well as the rapidly developing companies recognised in Poland and abroad, supported by a growing start-up ecosystem and the creativity of academic circles. Targi Lublin uses local economic potential, convenient location and many years of experience to organise high-quality events for both business and individual customers. Trade fairs in Lublin have a long history reaching back to the Industrial and Agricultural Exhibition in 1901. However, their current activity as a specialist institution organising the trade fairs began in 1999 with the establishment of Międzynarodowe Targi Lubelskie (Lublin International Fair), transformed in 2011 into Targi Lublin S.A. In 2010, Poznań International Fair became one of the owners of the company. Since 2012, we have had two modern halls and open exhibition space in the city centre, close to the railway station and the future metropolitan station. Hence, we can organise various events for both business and individual customers, in a very convenient location. Today the trade fair is a place where product innovations are presented, modern technologies are introduced, and opportunities are created for testing the presented solutions in practice. Therefore, we make sure that the offer of events organised at Targi Lublin matches the needs of entrepreneurs from the city and the region and that their results influence local economic development. This, combined with the business tourism generated by national and international events, means that trade fairs play a city-forming role nowadays. Targi Lublin builds the image of Lublin by organising prestigious events, such as congresses, galas or conferences. All these activities create added value for the city by activating its inhabitants and stimulating the services sector. We are one of the most important trade fair centres in Poland. Adequate facilities - over 12 thousand of internal exhibition space, professional team and many years of experience let us organise about 60 events every year, which are visited by over 170 thousand people, and 2300 companies exhibit on them. Themes of trade fair events include construction, automotive, agricultural, energy, border protection and many others. Moreover, the location near the European Union's eastern border is an opportunity for the development of the competences of the company. We want to become a meeting place for the exchange of experiences of Western and Eastern entrepreneurs. LCK Lublin Conference Centre offers unique possibilities for organising conferences and meetings in a modern facility in the very centre of Lublin. The most recent research conducted on a national scale shows that the Meetings Industry in Poland already generates over 1% of the national GDP. This indicates a dynamic growth of the sector, which is beginning to make a significant contribution to the country economy. The need to create favourable conditions for the meetings industry in Lublin was noticed by The Lubelskie voivodeship authorities, which resulted in the creation of a unique on a national scale conference complex, the heart of which is the Lublin Conference Centre, in the very centre of the city. The LCK, The Cente for the Meeting of Cultures, Lublin Philharmonic and the Musical Theatre offer over 7,500 m2 of the highest quality modern event space. The first years of LCK's activity have shown that Lublin needed such an investment dedicated to the organisation of conferences and business meetings. We note an increase in the number of events by 30% year over year. Our advantages are an excellent location, comprehensive offer and the novelty effect - many organisers willingly choose Lublin, which already has the appropriate conference facilities to host international events. Our activity is also a stimulus for the development of the hotel market in the city and other complementary industries. Therefore, within the Lublin & Region Convention Bureau, we join forces in acquiring new business events to support the entire meeting industry in the region. 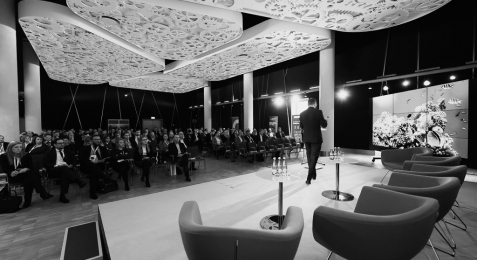 The future of the conference sector in Lublin lies in further supra-regional and international events, which provide the city with the most significant developmental and profitable benefits. Poland is already in the top twenty of the prestigious ranking of the International Congress and Convention Association (ICCA), and among the cities, Lublin has been included in the list as one of only six Polish meeting destinations. With such an offer and infrastructure, we have got nowhere to go but up. The Hampton by Hilton Hotel in Lublin is an example of how the Lublin hospitality market combines tourist and business services. Just a few years ago Lublin was confronted with the problem of the insufficient number of hotel places. They were missing during the season of the most important cultural events, and business guests had a very limited choice. We saw a need to diversify our real estate development activity; Lublin is very close to our hearts, hence the decision to invest in a hotel that would meet our business needs and commitment in the development of our hometown. We were looking for a suitable operator whose service standard would meet the needs of the most demanding guests - both tourist and business - who are increasingly present in Lublin year by year, and whose global brand would constitute an added value for the city. We decided that it would be Hilton. Lublin has developed very well in terms of culture and business over the last few years. The presence of the first hotel of the prestigious Hilton brand in the city has a positive impact on the city's image as a tourist destination. People coming to the city to take part in festivals such as Night of Culture or Carnaval Sztukmistrzów, or business meetings know that a stay in Lublin can be combined with accommodation in a hotel ensuring the highest standard, repeatable in every facility of the chain around the world. They can also use a restaurant serving local delicacies, and the location with a large car park in the city centre is an additional advantage for motorised guests. The first year of the hotel's operation proved that this investment was necessary for the city. We hosted sports teams, artists, entrepreneurs, as well as numerous conferences and events. We have many satisfied guests from Poland and abroad, but we also see the need to educate future staff, which is why we welcome interns from Lublin schools and universities who want to learn about the standards of work of the global hotel chain. We are ready for further development of the city and the tourist flows following it. Welcome to Lublin! President of Global Property sp. z o.o. S.K.A. The Centre for the Meeting of Cultures (CSK) is Lublin’s largest culture, creativity and experience hub. This is a place which generates new ideas, where a variety of cultural and art activities are performed and where dialogue in the spirit of tolerance and openness to the world outside takes place. In a highly competitive and globalised economy, creativity is the factor that offers the most significant advantage, and thus one of our tasks is to create a comfortable environment for the meeting of culture and business in an exciting and inspiring location. By doing so, we are becoming a material stakeholder in the business, cultural and social ecosystem. Visitors to CSK constitute a diverse group. Our statistics indicate that nearly half of them are newcomers. We assume that a significant part of those visitors are entrepreneurs and business representatives, who combine culture with their business meetings, inspiring themselves and undertaking business-related activities. To strong academic circles, well-developed transport links and hotel facilities, we are now adding a new space featuring world-class architecture – an opera and performance hall, capable of hosting any large event. 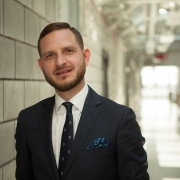 As a centre for culture, we are also gaining credibility by working with the world’s major cultural institutions, such as the National Opera, the British Museum and the Barbican Centre. We can guarantee a quality artistic program, which is an essential part of the convention sector. We also place a strong emphasis on the value of local culture, which is built on the interface between Eastern and Western Europe. Our unique strength is in approaching culture by contrasting “high” art, be it opera, drama or exposition, with “low” art – that which is popular, entertaining or even performed in the streets. The innovative formula of our institution – offering high quality, exploring the heritage of Eastern and Central Europe, an openness to the world, vast intellectual resources and competitive prices as compared with similar facilities – make both CSK and Lublin very attractive places.